My daughter had a great, although late, start with solids. Basically, she refused purées, straws, and spoons. 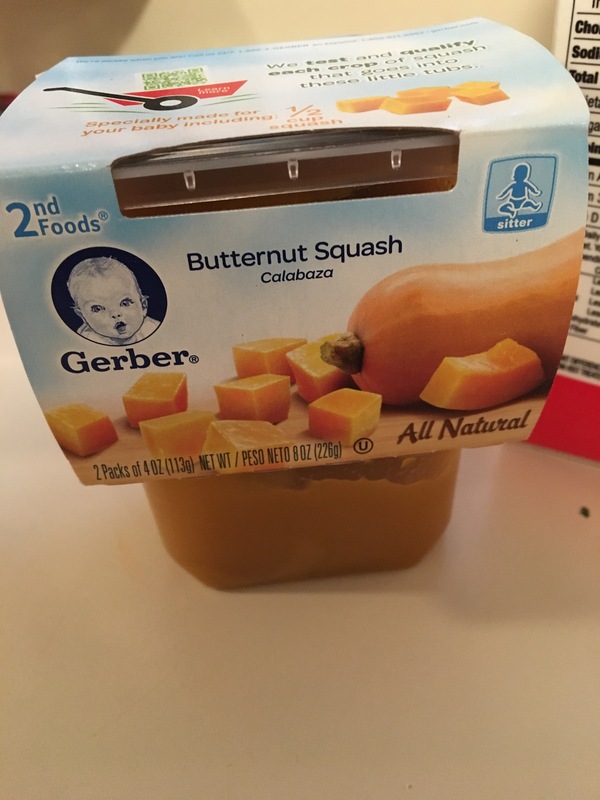 So “baby food” was out of the question. We did a little bit of baby led weaning, which is where you give a baby a large piece of soft food that they can grab and chew on (or just smash into the tray and create a unique piece of art). And it wasn’t until about 10 months old that she started really eating anything. And she wasn’t picky! She loved veggies, avocados, egg yolks fried in coconut oil, chicken sausage, you name it! I thought I had it figured out. And then around 15 months, she started getting more and more picky. First it was no veggies, then it was no meat, and then she swore off milk after a stomach bug. She even started refusing most fruit. She was living off cheese and blueberries. 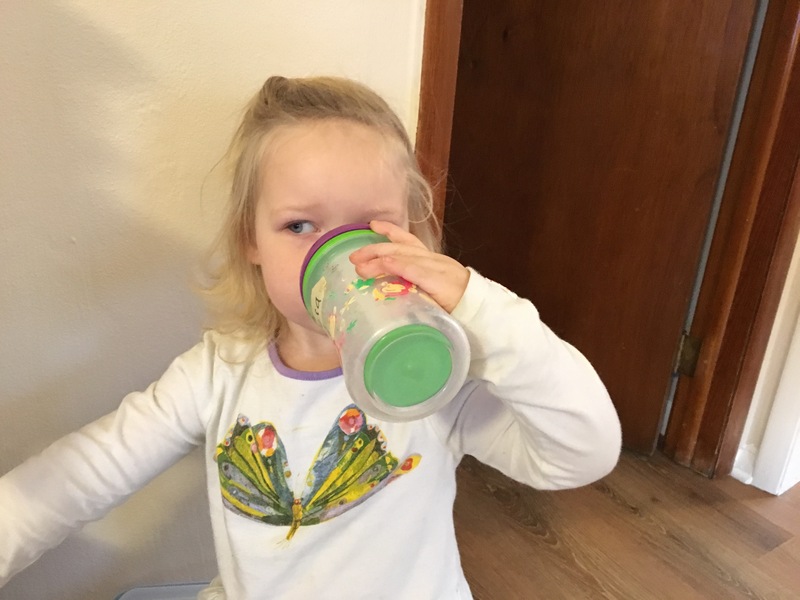 I hadn’t been too worried when she was still drinking 3 bottles of formula a day, but the time came to say goodbye to that phase of her life, and now what was I left with? How was she going to be exposed to a wide enough variety of nutrients? Now it’s time to add some other things to your freezer stash. I always a big bag of organic chopped spinach/kale, and a big bag of strawberries and/or blueberries. These are the sweetest. I’ve tried other fruit such as mango, peach, or raspberries, but they were not a hit. Add all ingredients to the blender and blend! 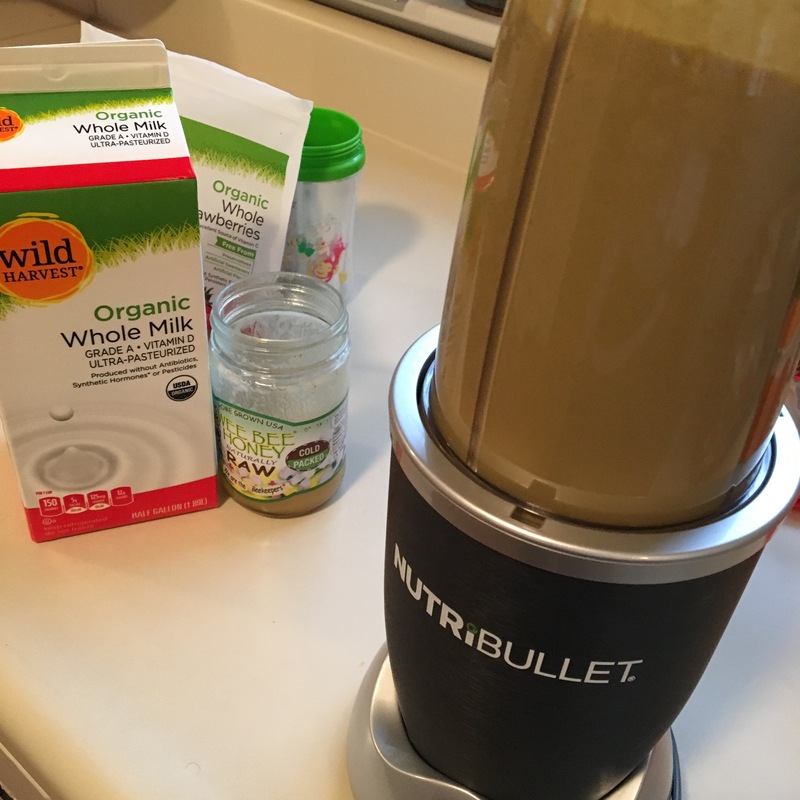 * If you don’t have a top of the line blender like a vitamix or nutribullet, your blender might have a little trouble. I will sometimes let the ingredients thaw in the blender a little bit before I start blending, or I’ll add a bit more liquid. What I like about this recipe is that it’s filling and nutritious. It’s got lots of healthy fats. The bananas, berries, and honey sweeten it up, while it still contains a nice amount of veggies. My daughter will have this for breakfast most mornings, or lunch if we’re running out. I store the extra in the fridge, but I try to have her drink it by the end of the day. For some reason is starts tasting a little bitter after a day or two. You have lots of options here, and I encourage you to play around and see what works for your toddler! Some ideas: pumpkin purée, sour cream (I will add this if I don’t have avocado), apple sauce, yogurt, kefir, cooked oatmeal, and any fruit that your toddler might like! 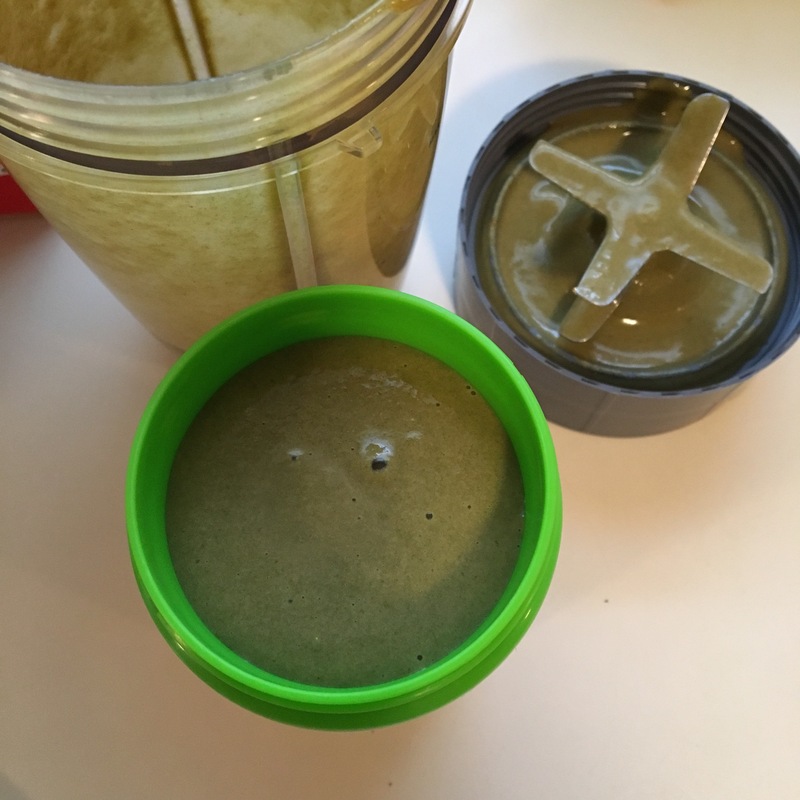 Do you make smoothies for your kids? What do you include?